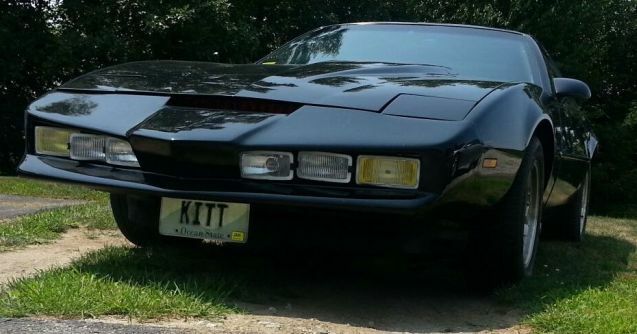 Welcome to my site showcasing my replica K.I.T.T. car, I continually update the site for easy navigation and viewing as time permits. I am reviewing my archives and will update the site using the initial construction images through the current images as they are located. The image at the top of the site was taken in 2014. The car still runs great and is a "time capsule" of when I finished building it almost 20 years ago! The most recent additions of video and images are located under the 2014 image and video links in the menu. I'm looking for more images of when I was building it up, but may come down to having to use screen captures of when I video recorded the entire process. I can't recall if I ever really took good photos during the entire installation process as that was a very long time ago and before phones had cameras! I'll add more history and back story as time permits. Look around and enjoy your visit, thanks for stopping by!